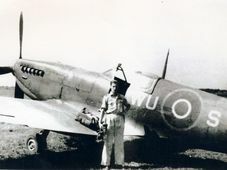 Scores of Czechoslovak pilots took part in the Battle of Britain, the famous July to October 1940 military campaign in which the RAF fought off massive German air raids and changed the course of World War II. 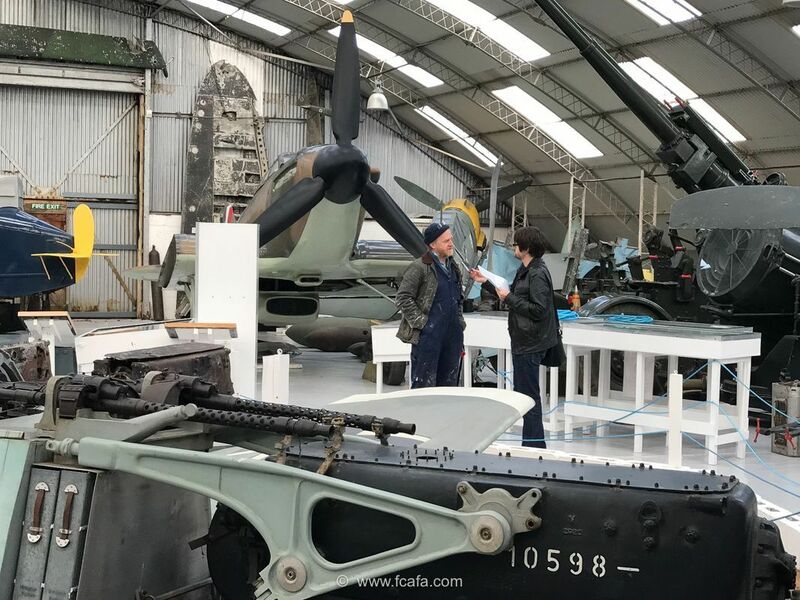 Those Czechoslovak heroes are among those commemorated at the fascinating Kent Battle of Britain Museum at a former key air base at Hawkinge near Folkstone, just kilometres from the English Channel. At the main hangar in Hawkinge, photo: Tom Dolezal / Free Czechoslovak Airforce Association Two names stand out among the Czechoslovaks honoured by the museum: Josef Koukal, who after downing a Luftwaffe plane was himself shot down and suffered severe burns; and Josef František, one of the highest scoring RAF fighter pilots in the Battle of Britain. 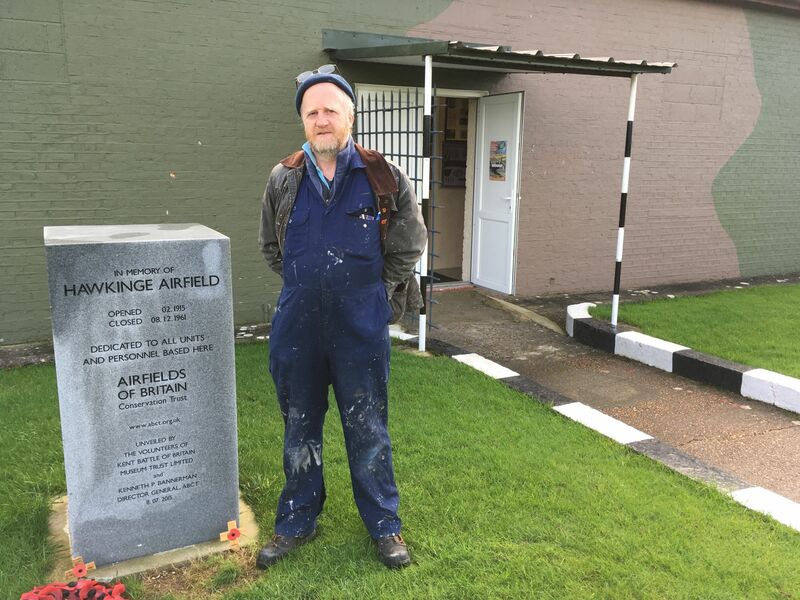 The Kent Battle of Britain Museum is run by David Brocklehurst, for whom the job is clearly a labour of love. 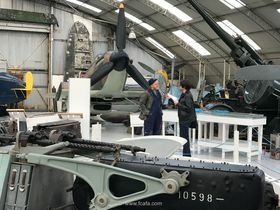 When I visit Hawkinge Brocklehurst first shows me around the main hangar – crammed at the time with full-size replica planes, alongside countless items connected with Battle of Britain aviators – and tells me a little about Czechoslovak involvement in the celebrated military campaign. “We believe there to have been 88 Czechoslovak pilots that flew in the Battle of Britain, predominantly with 310 and 312 squadrons. Are we only talking about pilots or were there also navigators? Were the Czechoslovaks flying in one-man planes only? “All the Czechoslovaks that fought in the Battle of Britain were pilots. There was no actual air crew that fought. “Obviously there was many air crew that flew in the Battle of Britain within the RAF – and a lot more in the Luftwaffe. “We’re just acquiring a Bristol Blenheim, partly because out of the 2,938 airmen and aircrew that flew in the Battle of Britain about 800 of them flew on Blenheims, which would have had a three-man crew. 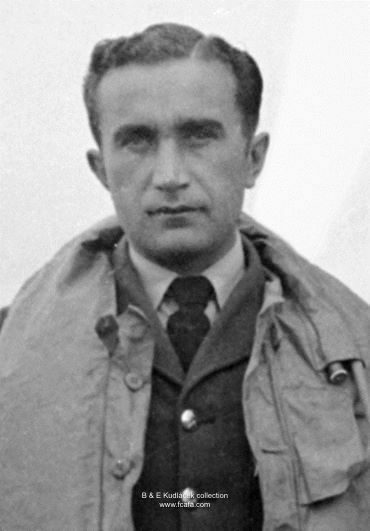 "Josef František is probably one of the most famous Battle of Britain pilots, and one of the top-scoring ones." What specific planes were they flying? At the height of the Battle of Britain, how many flights, or how many missions, would a pilot have made in a week, roughly? “During the height of the Battle of Britain a lot of them were flying four to five sorties a day. Sometimes up to eight or nine sorties a day. 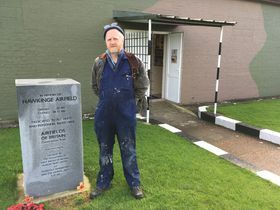 “Because of losses sustained on July 8 and 9, 1940, Hawkinge airfield became a satellite station of many of the famous airfields, such as Biggin Hill, Croydon, Gravesend, North Weald, Hornchurch. “So the airfield would be evacuated at night. Aircraft would fly down usually at 4 or 5 o’clock in the morning. They would control out of here, combat out of here, refuel and rearm here. “But last thing at night, at 10 o’clock, they would fall back inland to their inland airfields. 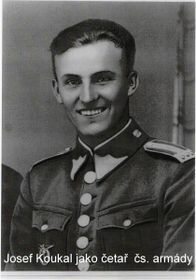 Josef František, photo: Public Domain “Hawkinge became the most bombed and heavily attacked airfield, because of its location. Typically how long would a sortie have lasted? “It depends. If there was combat they would be using a lot more fuel, so that would be quite brief. “It could be an hour, hour and a half. But sometimes it was very quick. Many of the Czechoslovak pilots flew with their own 310 or 312 squadrons. But others flew with British squadrons and still others flew with the Poles. Why weren’t they all flying in the same squadron? “I don’t think there’s ever been a truly satisfactory answer to that. “It’s probably because of language. Those that had a better understanding of the English language were probably absorbed into other squadrons. "A lot of the Czechoslovak and Polish pilots had quite high claims, but of course most of those that came to Britain were actually pre-war pilots." “They may have arrived earlier than others. “And obviously because of the losses sustained, they were using any pilots that were available and had the experience. “A lot of the Czechoslovak and Polish pilots had quite high claims, but of course most of those that came to Britain were actually pre-war pilots and had experience flying for their own countries and for the Low Countries, during the Battle of France. “So they had more experience and were easier in some ways to absorb into the squadrons. “Because the problem in Britain by the middle of the Battle of Britain was that most of the pilots coming into the fight were very inexperienced. “Some were coming from Bomber Command and Coastal Command, to fill in gaps. Does that mean then that the Czechoslovak or Polish pilots were older than their British counterparts? David Brocklehurst shows Ian Willoughby around the museum, photo: Tom Dolezal / Free Czechoslovak Airforce Association “At that time, yes. They predominantly were. “You had pilots, certainly within the RAF, that were 28 years old and being called uncle. "And five 18-year-olds were killed flying fighters during the Battle of Britain. The best-known of the Czechoslovaks is Josef František. Could you tell us something about him, please? “He’s probably one of the most famous Battle of Britain pilots, and one of the top-scoring Battle of Britain pilots. “Nobody’s ever really been able to come up with a satisfactory tally of official claims. “A lot of claims were made that can’t be substantiated. 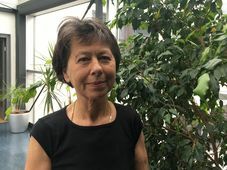 “A lot of František’s claims can be. For some of them he was claimed as a full shoot-down, but on occasion it was probably shared, when he caught aircraft that had been previously damaged. “But as I say he has gone down as one of the top scoring airmen. “Sadly he lost his life at the end of the Battle of Britain in a flying accident. 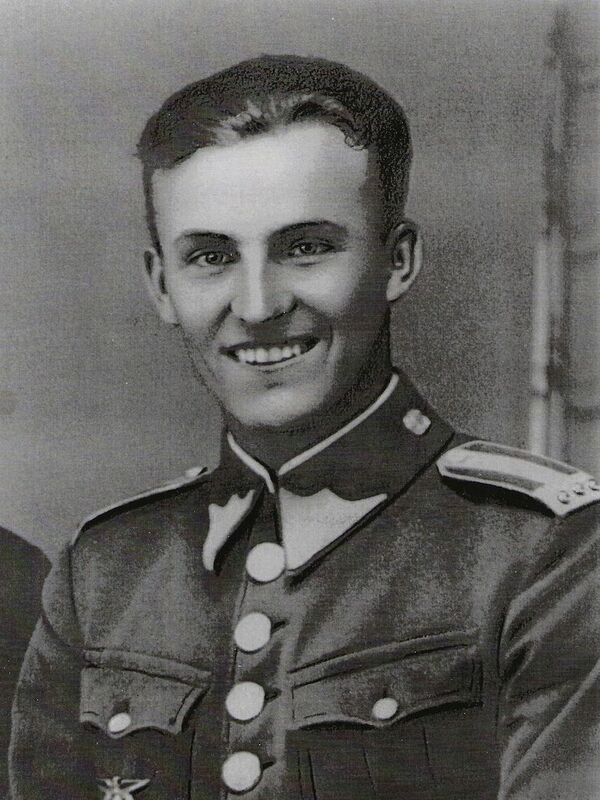 "Josef Koukal managed to put his flames out on the descent but when he landed his uniform reignited and they rolled him and put his flames out." What items do you have here that are related to the Czechoslovak airmen? “We have several aircraft in the museum that were flown and lost while being flown by Czechoslovak pilots. “Over here we have one. 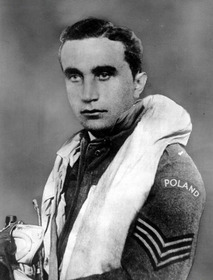 He was lost just after the Battle of Britain, in November 1940, after crashing by Southend: František Hradil. “You can see here parts recovered from his aircraft. “We believe he was shot down by Rolf Pingel, one of the famous German Battle of Britain pilots. “He was shot down at 4:15 on November 5, 1940. His aircraft crashed just off Southend Pier. “And these items form a lasting memorial to him in the museum. 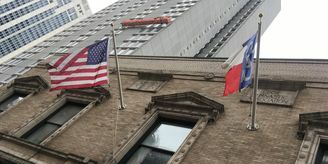 In the past would you have had former Czechoslovak airmen visiting here? 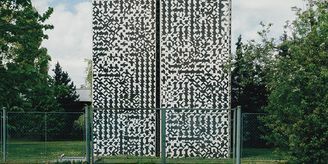 “Sadly really only Josef Koukal visited us, and that was back in the mid-1970s. Do you get Czechs coming here today? “We get a lot. Because obviously the museum is as much your history as it is ours. Josef Koukal, photo: CC BY-SA 4.0 “So we’ve very pleased to see many visiting during the season. From the main hangar David Brocklehurst leads me to another, lower structure at the Battle of Britain Museum, an institution with which he has been involved since the age of 10. The building is absolutely crammed with photographs, uniforms and all kinds of eye-catching memorabilia. “We are now at the Operation Block, which in 1940 fulfilled the function of a control tower. “You can see in the ceiling above 20 mm cannon shell strikes in the timbers. “You can also see them in the floor in various locations, where the airfield was strafed by German aircraft. “So it wouldn’t be a place you’d really want to be standing in 1940. “The block is today the heart of the museum. It contains remains from more than 700 Battle of Britain aircraft, which keeps alive the memories of those men and those that shot them down. "Around this area we have a lot of the artifacts that we recovered from Josef Koukal's aircraft. "You can see above his blind flying panel, the control column, the last thing he would have been holding before he bailed out. "There are also newspaper articles covering his return to the museum to see the remains of the aircraft and also to see the lady whose husband put out his flames when he came down. "He managed to put his flames out on the descent but when he landed his uniform reignited and they rolled him and put his flames out. "We also have the propeller blades, radiator and radio from his aircraft. "All these were recovered I think in 1974 from the Isle of Sheppey, where his aircraft had hit and been embedded into the ground. "A lot of the aircraft here that we've excavated tend to be six to 10 feet into the ground. David Brocklehurst at the Operations Block in Hawkinge, photo: Ian Willoughby "The deepest we've excavated as a museum was a Messerschmitt 109, where we went 40 feet into the ground. "So as I say, sometimes you can see a few fragments commemorating the pilot or aircrew. Other times there are more substantial remains." My visit to Hawkinge is during the off-season. 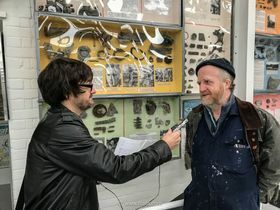 But the Battle of Britain Museum reopens again on Friday next week, just in time for Easter, and operator David Brocklehurst leaves us with a message for listeners. 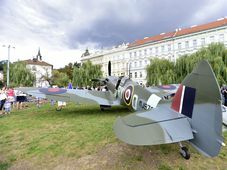 "Please come and visit and share our passion for and knowledge of the subject and commemorate as many Czechoslovak as well as Allied pilots as possible. "We do also tell the stories of the Luftwaffe pilots, because you can't tell one side of the story without telling both sides. "And they were equally brave. They had mothers, fathers, brothers, sisters, uncles, aunts, so we commemorate them and tell their stories where possible as well."